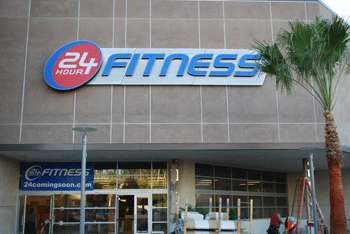 When 24 Hour Fitness decided to renovate the facility in UTC mall here in San Diego, we were offered to bid on the job. Due to our extensive knowledge of commercial facilities and how they work, we knew we could take care of it. 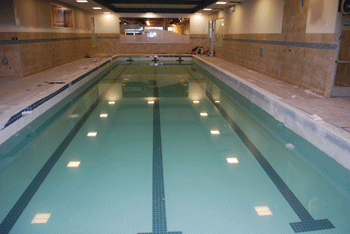 Commercial pool plaster in San Diego is one of our specialties. We work in commercial facilities such as hotels, HOA’s, sports and fitness centers and more. With this comes a great understanding of how to work on a tight schedule around the other various trade professionals. Everything Swimming Pools is a San Diego based swimming pool contractor that specializes in pool remodeling, pool restoration and pool repair. When we found out that we got the job, they were already looking to have the work done soon. With that understanding, we were able to get the crews we needed to expedite this project ensuring that we would not delay the re grand opening of the facility or the swimming pool. Commercial pool plaster in San Diego is usually performed in the off season due to the high occupancy of the facilities and hotels we work with. The pool plastering process in San Diego does require the swimming pool plaster to cure for a short time before users can resume using the swimming pool. There is also a start up process that takes an average of three to four days to complete. During this time no one is able to use the pool. This is because after the pool plastering process is complete and the swimming pool is filled, we need to add specific chemicals to the water. These chemicals make the water unsafe to swim in though helps the overall condition of the pool plaster finish look it’s best when completed. Below you can see that when the water is being filled into the swimming pool that there is a white powdery residue that is produced. This is the creme coat of the pool plaster releasing a by-product that needs to be brushed and vacuumed for the period of time necessary to remove it all. If not, it will reattach itself to the pool plaster surface causing the final appearance to be less than perfect. With commercial pool plaster in San Diego we often find damage that can be minimized. Issues such as staining, pool plaster delamination and spot etching are just a few. These are the most common and most detrimental to the commercial pool plaster in San Diego. With staining there is often issues with the types of chemicals being used along with the aggresive nature of the water. When water chemistry gets even slightly out of balance, you can encounter mineral or metal stains that will partially if not completely cover the plasters surface. The next is plaster delamination. This is when the thin surface layer peels off of the rest of the plasters surface. This happens due to age and the waters chemistry. There is nothing that can be done to fix this problem. Once the pool plaster has this happening, the only thing to be done is to install a new pool plaster finish. And the last issue is spot etching. This looks like little circular formations on the plaster. Often people mistake this for staining. It is not. This is when the pool plaster is starting to break down either due to age and materials or due to bad water chemistry. Bad water chemistry is the more likely problem and this is also not something that can be repaired. It would need to be re-surfaced. If you need commercial pool plaster in San Diego and you want to have it done properly, we can help. Our crew of professionals are able to handle any size and scope of work along with helping with any other aspects of pool remodeling and pool repair. 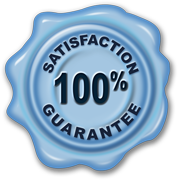 We are also able to help our commercial and residential customers in San Diego with pool restoration. This is a process where we can help repair some of the problems with your swimming pool or spa with having to replace it. Services such as pool tile repair, pool coping repair, pool plaster repair, pool deck repair and expansion joint repair. If you need a commercial pool plaster performed in San Diego and you have any questions or would like to schedule a appointment, get in touch. You can feel free to call us or fill out our contact form and we will contact you.